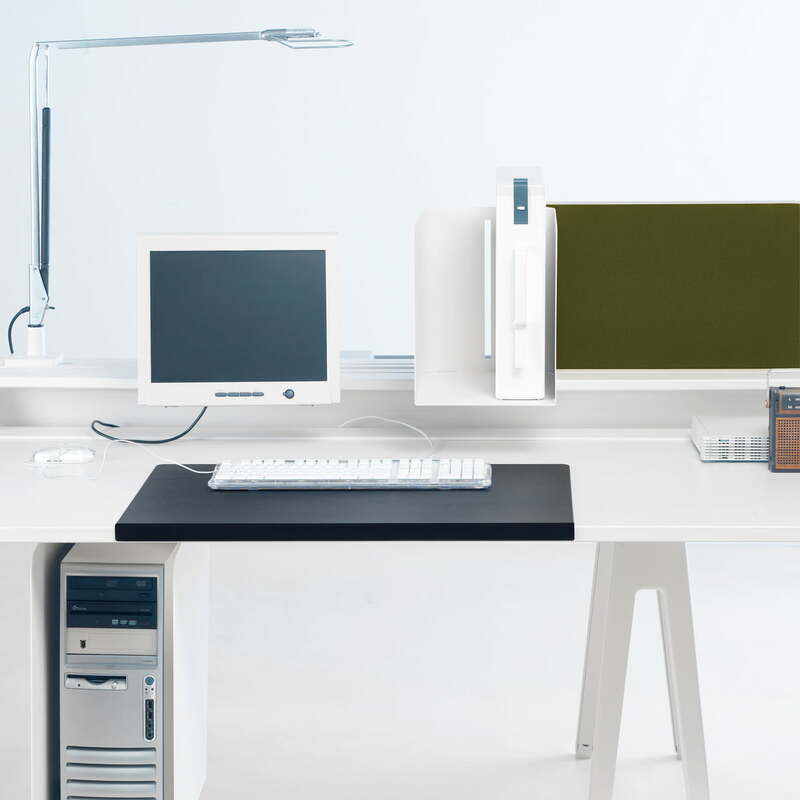 Joyn is a flexible office furniture-system by Vitra. Joyn adapts to the changes and diversity of the modern working styles. 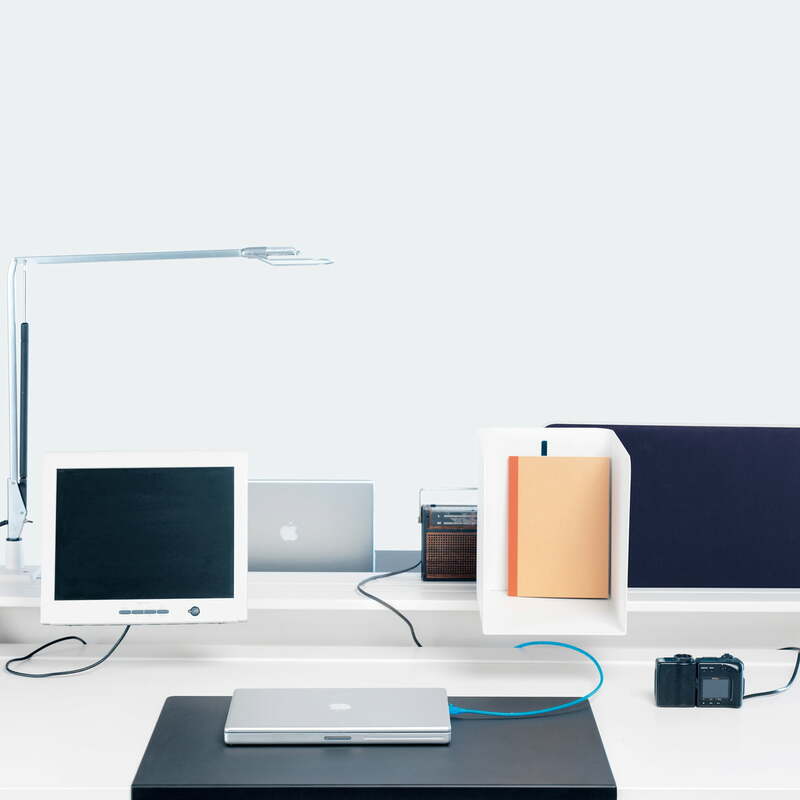 The desk pad has been designed by Ronan & Erwan Bouroullec to complement the collection. 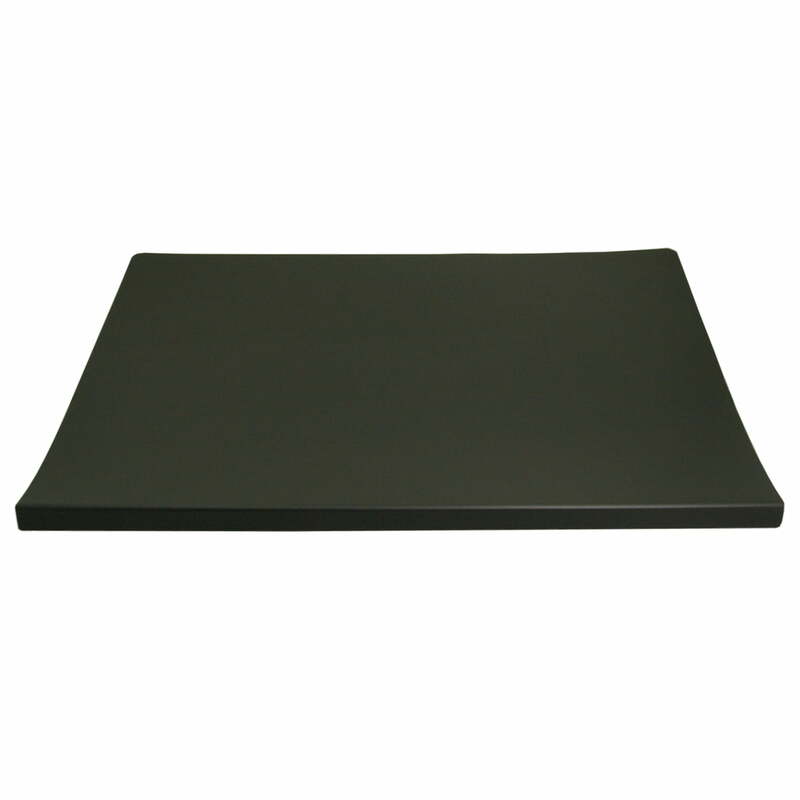 The simple desk pad made out of black polyurethane is bent at one end, so that it fits perfectly on the edge of the table and doesn’t move while working. The stable and extremely firm surface has a pleasant feel and ensures the safe state of computers, glasses, calculators, etc.